Be still our beating hearts: after a near-15-year hiatus, 2019 witnessed the return of the Toyota Corolla Saloon. 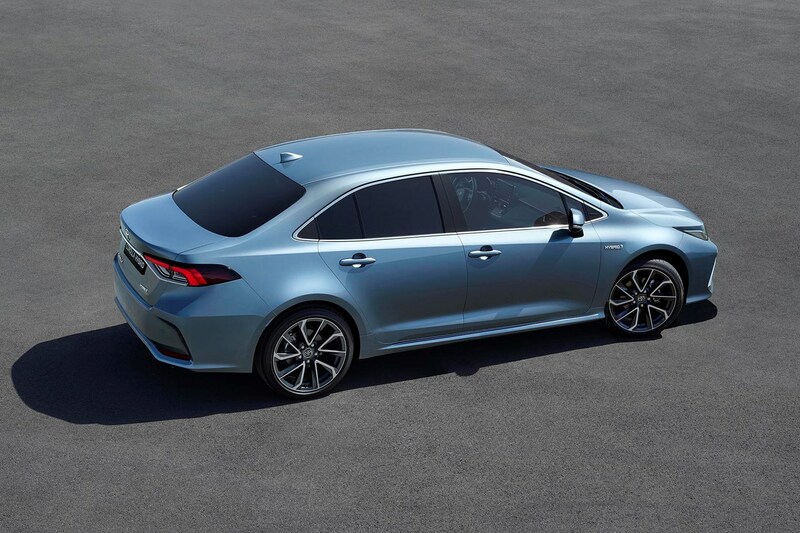 That’s right, this mid-sized family four-door offers the chance to be an indirect replacement for the Avensis saloon, which met its demise in 2018 – one of many saloons to have been killed off in the last 15 years. Sure enough, there isn’t the breadth of rivals available that there would have been a decade or so ago, and it’s hybrid-only this time, but the booted Corolla will find itself toe-to-toe with the recently-launched Honda Civic Saloon and the soon-to-arrive Mazda 3 saloon. However, it will also face stiff competition from the more prestigious – and pricier – Audi A3 Saloon and Mercedes-Benz A-Class Saloon. 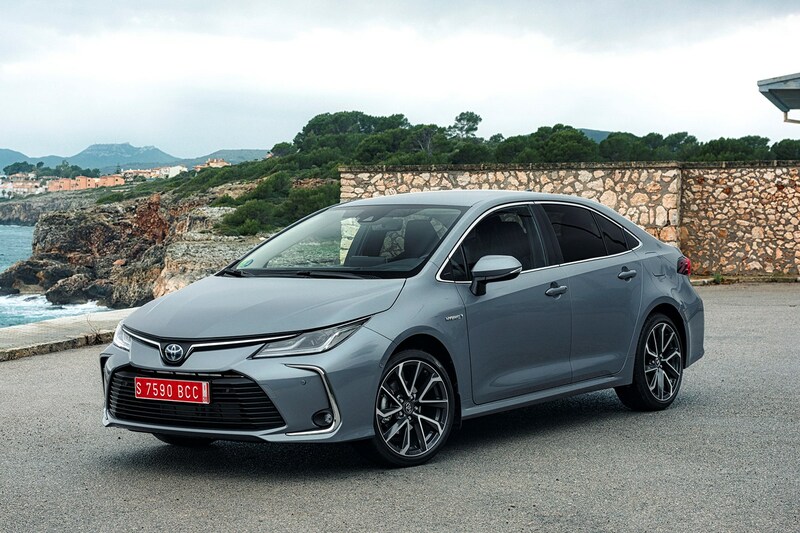 With an eye on those swish German alternatives, Toyota has opted to give the Corolla Saloon a more upmarket look compared with the Hatchback and Touring Sports estate alternatives. The front has been given a cleaner design with tweaked headlights, a less-dominant grille and vents on the outer width of the bumper. Overall, the styling errs towards the conservative – it’s not a million miles away looks-wise from the recently departed Avensis Saloon – and there’s a dash more chromework than on the other Corollas; spot the strips on the front grille and rear tailgate stretching between the rear lights. What’s the Toyota Corolla Saloon like inside? 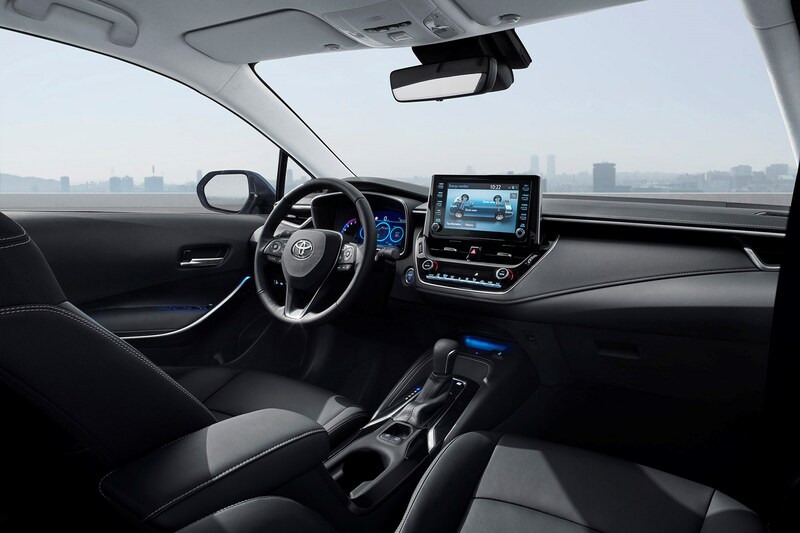 The cabin of the Corolla is already spacious and comfortable for those sat up front, but, as with the Touring Sports, rear passengers will benefit from a little more comfort, too. 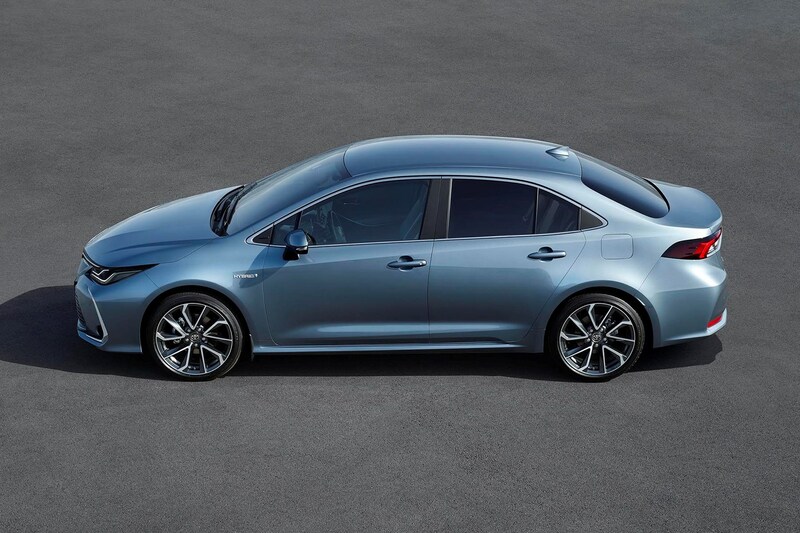 Although the dashboard mirrors that of the other Corollas, the Saloon has more rear-seat legroom than the Hatchback, courtesy of it being underpinned by the Touring Sports’ 2,700mm-long wheelbase; that’s 60mm longer than the hatchback. As with the Touring Sports, the outer rear passengers benefit from their own air vents, heated seats and ambient lighting. This is also the only Corolla with the option to brighten up the interior with a beige colour option for the dash and seats. 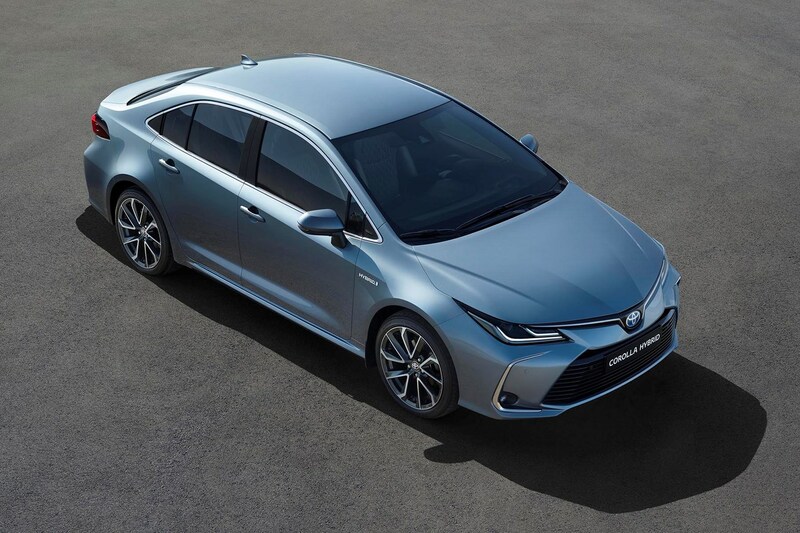 There’s one choice of power available with the British-built Corolla Saloon and it’s the 1.8-litre petrol-electric hybrid. Toyota refers to it as self-charging – in other words, you can’t plug it in and don’t need to, since the battery gets topped up while driving. This produces a modest 122hp and 142Nm of torque, taking 11.0 seconds to meander from 0-62mph, before reaching a top speed of 112mph. 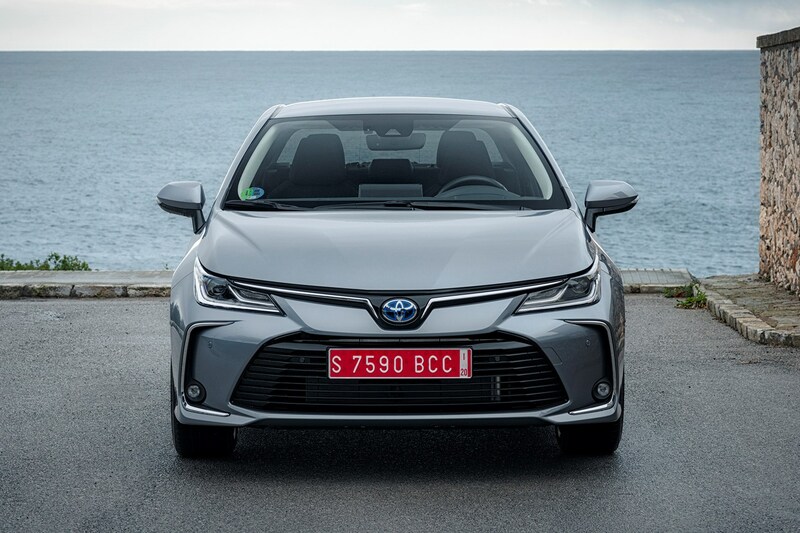 Overall, the Corolla Saloon Hybrid is quoted at 49.2 - 65.5mpg and 77 – 83g/km of CO2 under the latest WLTP efficiency testing procedure. Will there be a diesel-engined Toyota Corolla Saloon? No. Toyota has already confirmed that it won’t launch any diesel-engined products aside from its large Land Cruiser SUV range and its commercial vehicle line-up. The 1.8-litre hybrid is already the cleanest and most fuel efficient engine choice in the Corolla range, so this will be your best bet. 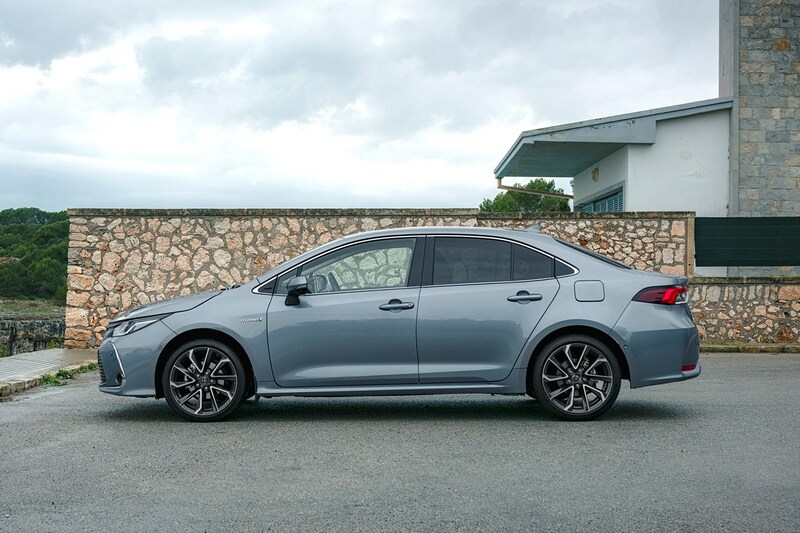 How does the 2019 Toyota Corolla Saloon drive? The 1.8-litre hybrid engine is adequate if you seek a quiet and relaxed car to cruise around in, but you will have to work the engine hard to generate momentum at a decent rate when you are in a hurry - especially when heading onto a motorway. Push the engine outside of its comfort zone and it fills the cabin with a distant drone as the 1.8-litre spins away higher in the rev range. Unfortunately the rate of acceleration never quite matches the level of noise generated beneath the bonnet, but it’s far more hushed than previous hybrid models. 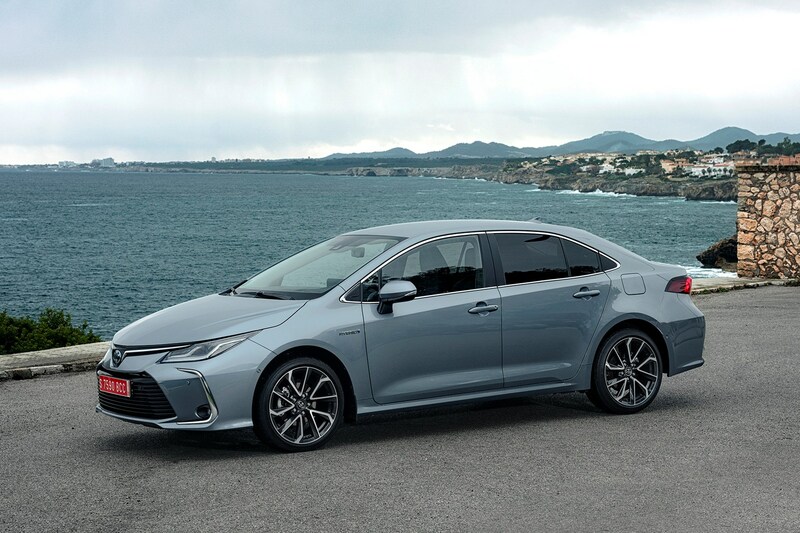 For the majority of Corolla Saloon customers, this will be enough, but what’s even better news is that this four-door is more refined in the cabin than both the hatch and Touring Sports estate. The isolated boot compartment results in less road noise resonating in the cabin and makes this the quietest Corolla to spend time in. As a result, this easily makes for the most mature offering in the Corolla range. There’s no sporting pretention here whatsoever, unlike the estate’s badging, and the saloon combines comfort with low running costs in a smart, if barely-noticeable package. How much will the 2019 Toyota Corolla Saloon cost? 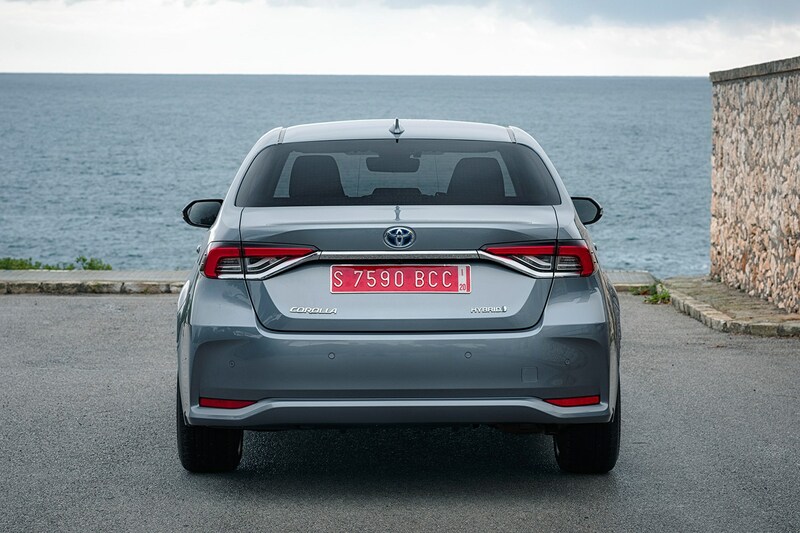 The Corolla Saloon range is simpler than the hatchback and Touring Sports Estate, with three different trim levels of Icon, Icon Tech and Design. All come with automatic LED headlights, heated front seats, DAB radio, rear-view camera and Toyota’s Safety Sense package. This includes pedestrian and cyclist detection, adaptive cruise control, lane-keeping assist with steering inputs to keep you in lane, and automatic main beam. The entry-level Icon costs less than £24,000, rising towards £26,000 for top-spec Design.